We are very sad to report the death of the poet Peter Reading (pictured above by Bernard Mitchell). He died on Thursday evening (17th November) and had been ill for several months. 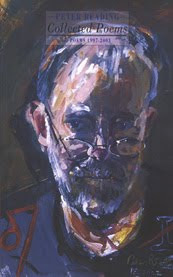 Peter Reading was born in Liverpool in 1946. 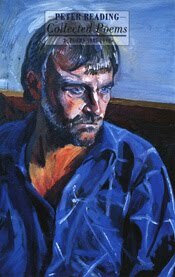 After studying painting at Liverpool College of Art, he worked as a schoolteacher in Liverpool (1967-68) and at Liverpool College of Art, where he taught Art History (1968-70). He then worked for 22 years as a weighbridge operator at an animal feedmill in Shropshire, a job which left him free to think, until he was sacked for refusing to wear a uniform introduced by new owners of the business. His only break was a two-year residency at Sunderland Polytechnic (1981-83). 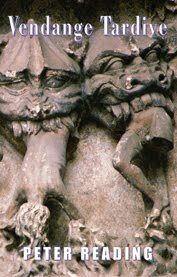 After leaving Liverpool, he lived for 40 years in various parts of Shropshire, in recent years in Ludlow. 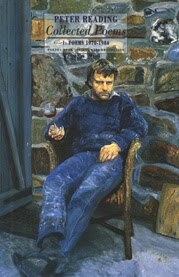 Peter Reading was one of the most original and controversial British poets of the post-war period: angry, uncompromising, gruesomely ironic, hilarious and heartbreaking – as funny as he is disconcerting. He was a prodigiously skilful and technically inventive poet, mixing the matter and speech of the gutter with highly sophisticated metrical and syllabic patterns to produce scathing and grotesque accounts of lives blighted by greed, meanness, ignorance, phony media flimflam, political ineptness and cultural impoverishment. 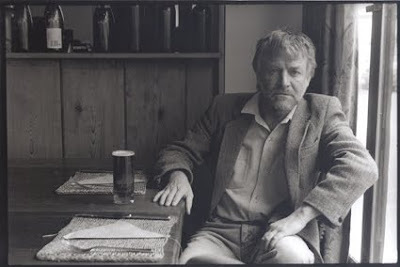 Peter Reading reads extracts from two book-length sequences, Going On and Evagatory, from his Collected Poems: 2 [1985-1996] (Bloodaxe Books, 1996). This film is from the DVD-book In Person: 30 Poets filmed by Pamela Robertson-Pearce, edited by Neil Astley. 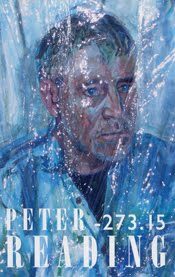 'Peter Reading’s most characteristic work, always economical, is now concise to the point of terseness… leaving sparser textures and a sometimes painfully direct expression of personal sadness, anger and despair. Can we find a parallel here with other modern artists – Rothko, Shostakovich, Beckett – who found themselves, in extremis and in their later works, continuing to create less and less, moving inexorably towards the point where they would be left with nothing, the point (presumably) of artistic extinction?’ – Alan Jenkins. 'Reading has spent 25 years creating a body of work which vindicates Tom Paulin’s description of him as “the unofficial laureate of a decaying England”…Now that his entire corpus, astonishing in its range and integrity, is available, it is hard to see how Reading’s role has for so long been under-recognised…Reading has completed a quarter-century masterpiece which has successfully blended the personal, the national and the global. The result is an epic lament for a species given to cruelty and self-destruction, employing a vast array of traditional forms and genres' – Robert Potts, Guardian. 'Deliberately squalid, violent and apocalyptic contemporary contents are yoked to forms that for the best part of three millennia have been used for the beautiful and the heroic' – Michael Hofmann, The Times. 'Reading’s ambition, his commitment to confronting the darkest contemporary realities, his erudition, wit and dry magniloquence, mean that his work presents unique challenges and offers unique rewards. If these same qualities make him indigestible to many readers of contemporary poetry, the loss is theirs' – Paul Batchelor, TLS, on Peter Reading's last collection, Vendange Tardive (2010). Click here to read the whole review. 'Peter Reading, one of Britain's greatest living poets, is also one of its most passionate on the page, where a tenderness for the natural world goes hand in hand with an angry frustration with the human realm... Reading's ability to evoke a layered, nuanced portrait of his times is both rare and necessary. That he can do so with such concision, magisterial command of metre and structure, and a great range of emotion, makes his work as pleasurable in its poetry as it is agonising in its message. Vendange Tardive may indeed be a late harvest, but let us hope that it will be far from the last' – Carrie Etter, Guardian, on Peter Reading's last collection, Vendange Tardive (2010). Click here to read the whole review. Water and Waste (1970), For the Municipality’s Elderly (1974), The Prison Cell & Barrel Mystery (1976), Nothing For Anyone (1977), Fiction (1979), Tom o' Bedlam’s Beauties (1981), Diplopic (1983), 5x5x5x5x5 (1983) and C (1984). Ukulele Music (1985), Going On (1985), Stet (1986), Final Demands (1988), Perduta Gente (1989), Shitheads (1989), Evagatory (1992) and Last Poems (1994). Work in Regress (1997), Ob. (1999), Marfan (2000), [untitled] (2001), Faunal (2002), Civil (2002) and d (2003). I am as shocked at the lack of comments on the passing of one of the finest - indeed one of the very the greatest - English speaking poets of the last forty years. To my shame, I only learned of Peter Reading's death some three months after the event. In Peter, I found a voice that not only spoke to me, but for me. I hope his work will continue to inspire writers and readers to understand and inhabit the amazing, ordinary, deep, ironic reality of human existence. moving house and rearranging my books today i sat down again with some peter reading. i felt impelled to contact him and tell him how much he has meant to me over the past 30 years. i am devastated to learn he has died. i'm going to polish off the rest of this rather nice saint emilion in his memory. one does hope his widow and kids know how much his work -ahem - 'spoke' to some of us out here. back in the eighties i'm ashamed to say a couple of chums and i used to photocopy his stuff to each other because we couldn't afford to buy poetry. do you remember the 'cub' farradiddle in the tls? ah... happy days. it feels odd, now, knowing he's not about.